I recently had a conversation with a client about a potential anniversary campaign, and it got me thinking about the importance of utilizing special and unusual dates. Big anniversaries, the return of Halley’s Comet, and January 23rd, 2045 (01/23/45) aren’t events you can celebrate just anytime, so you have to plan accordingly. A special date is a perfect opportunity to do something unique, but when the date passes, the opportunity is gone. Wednesday, October 21st, 2015 is a red letter date in the history of science fiction. It’s the day that 1985-based Marty McFly, Jennifer Parker, and Dr. Emmett Brown arrived in the Hill Valley, California of the future, in Robert Zemeckis’ Back to the Future, Part II. Lexus recently released a cryptic but exciting promotional video for the SLIDE, a hoverboard product they are developing. You can find a little more information about the device if you dig online, but Lexus has promised to release more official information about their magnetic levitation machine on, you guessed it… Wednesday, October 21st, 2015. Talk about taking advantage of an opportunity! Like the 2011/2015 Nike MAG campaign, Lexus is jumping all over 30ish years’ worth of expectations and delivering one of the cooler theoretical products from the fictional 2015. 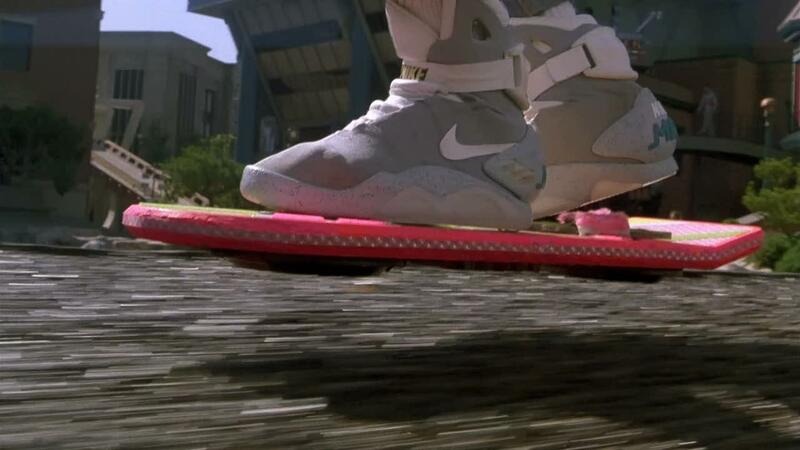 It would’ve been cooler still to see a flying car, but hey, you’ve got to hoverboard before you hoverdrive. Campaigns like this show a great situational awareness. People who saw BTTF2 when it came out are in prime car-buying years now AND they’ve been waiting 26 years to see if the movie’s predictions will come true. Even if Lexus never sells an actual hoverboard, this branded product launch process will capture the attention of millions of 35- to 65-year-olds. I can’t wait to see the SLIDE in action, but it doesn’t take a new technology to celebrate your special occasion. Some new messaging, good press relations, and perhaps an anniversary logo and collateral can really go a long way to letting everyone know about your big date. That said, the company that comes out with Star Trek-style “beaming” or Blade Runner “spinners” will have my undivided attention!